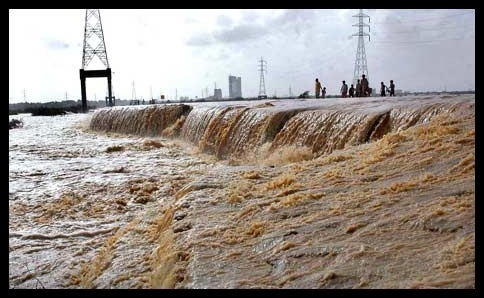 Geo news reported in the morning that the areas of Karachi which are badly affected with rain and flood are now returning to normalcy as water level gets low leaving behind the scars of devastation. Saadi Town, Amroha Society, Safoora Goth are the areas which were badly affected by the torrential rains on Saturday. The roads were full of water and half of the cars were drowned in water. The water level on the roads was about 3 feet high. The flood also entered into the houses of people and badly affected them. Now the situation has changed a bit as Pak Army and other rescue teams has drained some water out and now they are also working in some other areas. Shahbaz Sharif said that they will work on urgent basis to recover the devastating effects of flood . Some roads had also broken due to stay of water on them and so there is lot of traffic stoppage. Pakistan is suffering from really bad situation. The rate of poverty in Pakistan has increased very much and in mean time government is doing nothing for these people. People are facing very difficulties and hoping that government will do some work for them . I don,t think so that the government of Nawaz Sharif will be able to overcome these situations. My best hopes with Imran khan. He do what he says.